Riviera at Freehold is an upscale active adult community in Monmouth County, New Jersey. This gated community is surrounded by open spaces, lakes and trees in a picturesque setting. Conveniently located to major business routes and the Garden State Parkway, Riviera is close to shopping venues and dining establishments. This 55+ community features an 11,000 square-foot clubhouse, a full-time activities director, and 300 elegant ranch-style homes. Parks and golf courses are only minutes away and provide great off-site recreation options. Residents will never be bored with so much to do inside and outside of the community. The refined clubhouse features an impressive lineup of indoor and outdoor amenities normally seen in communities of much larger size. It contains a large state-of-the-art fitness center with aerobics studio where residents can work out in style. Residents can also utilize the indoor pool, complete with spa, as part of their fitness regimen. When it is time to relax, reading a book at the library or playing a game of billiards are some options. There is also a computer area where residents can take care of business and stay in touch with loved ones from far away. Hobbyists are sure to enjoy the arts & crafts and card rooms. A ballroom is on hand for large social gatherings. Dotting the clubhouse grounds at Riviera at Freehold are popular outdoor amenities such as tennis facilities, bocce ball courts, shuffleboard, horseshoe pits, and an outdoor pool. Walking and biking trails wind throughout Riviera and make for enjoyable strolls and invigorating bike rides. The community's 300 homes were built between 2003 and 2007. Residences feature ten-foot ceilings, two to four bedrooms, two to three bathrooms, two-car garages, and many upgrades. Houses are very spacious and offer between 1,885 and 2,170 square feet of comfortable living space. Monthly association dues at Riviera at Freehold cover ground maintenance, snow removal, trash pickup, management fees, indoor and outdoor pool maintenance, as well as clubhouse maintenance. Active retirees in Riviera at Freehold enjoy a refined lifestyle with meticulously maintained community grounds, prestigious homes, and abundant amenities. In addition to the healthy and fun amenities offered at the clubhouse, Riviera offers a variety of classes, social clubs and interest groups. The classes include exercise and dance activities to keep residents energized and healthy in a fun way while being able to socialize. Some of the existing clubs include chorus, canasta, Scrabble, and billiards. Riviera residents also regularly meet for movie nights and theme dinners. A full-time activities director keeps activities running smooth and organized in Riviera at Freehold. The neighborhood is centrally located with easy access to major business routes including I-95, Route 18, Route 33, and the Garden State Parkway. There are several golf courses and parks within minutes, so is Freehold Mall and Point Pleasant Boardwalk. When grandchildren come to visit, residents can take them to Six Flags Great Adventure which is nearby as well. The sunny beaches of the Jersey Shore can be reached in less than half an hour. In addition, New York City is only an hour away would make a great destination for day trips. 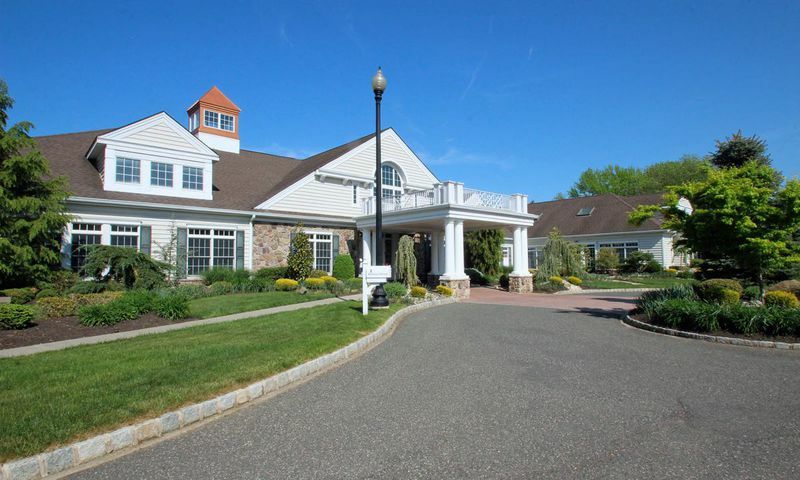 Riviera at Freehold is the perfect active adult community in Monmouth County, NJ. There are plenty of activities available in Riviera at Freehold. Here is a sample of some of the clubs, activities and classes offered here. We bought here 2 years ago and love our home. The living space is set-up perfectly and we have a wonderful patio space out back and a very nice yard. The previous owner did some beautiful landscaping and I've managed to keep almost everything alive and well! The community has a very elegant and traditional style to it that we appreciate, but it's still friendly. We enjoy a lot of laughs with our friends here and spend a lot of time at the clubhouse. There are plenty of clubs and activities to be involved in you just have to get started and you're hooked! 55places.com is not affiliated with the developer(s) or homeowners association of Riviera at Freehold. The information you submit is distributed to a 55places.com Partner Agent, who is a licensed real estate agent. The information regarding Riviera at Freehold has not been verified or approved by the developer or homeowners association. Please verify all information prior to purchasing. 55places.com is not responsible for any errors regarding the information displayed on this website.